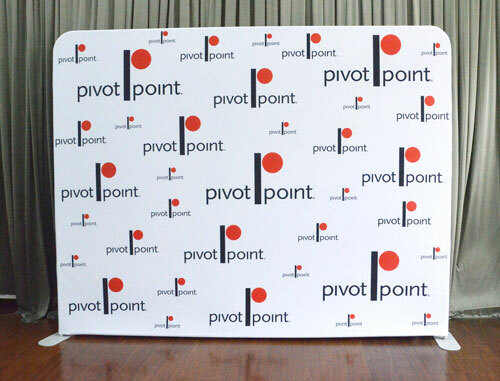 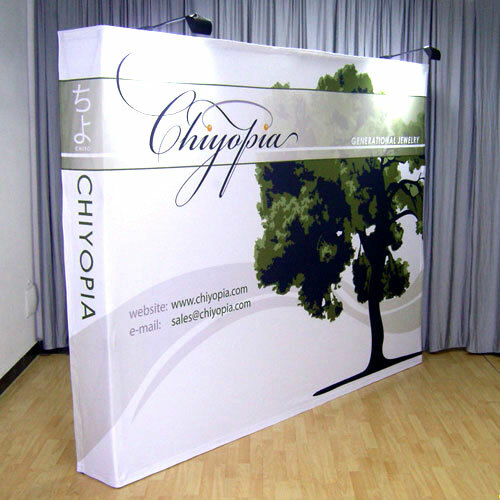 Pop up walls are display tools you must invest on if you intend to engage in localised advertising at expos, trade shows, corporate events, product demonstrations and other such venues. 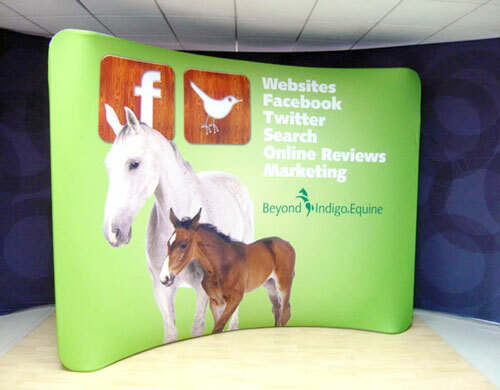 Your media wall will draw your target audience to your display and give them an idea of what your company is all about. 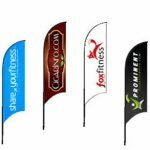 And if they like what they see, they will be intrigued enough to get to know your company and the products and services you offer a little bit more. 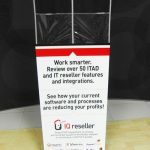 This will, in turn, lead to more sales and profits for your company. 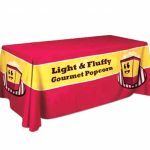 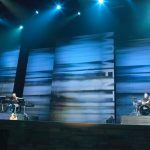 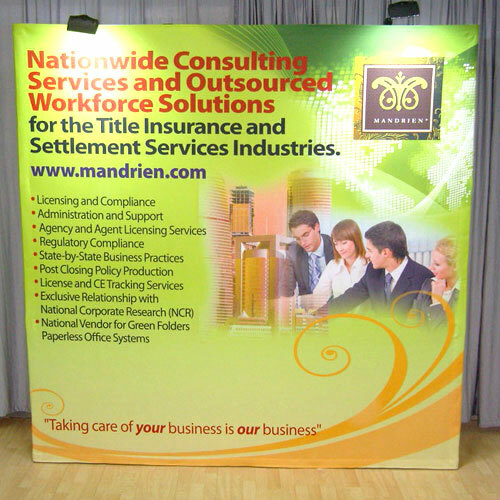 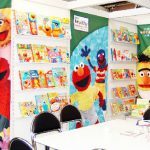 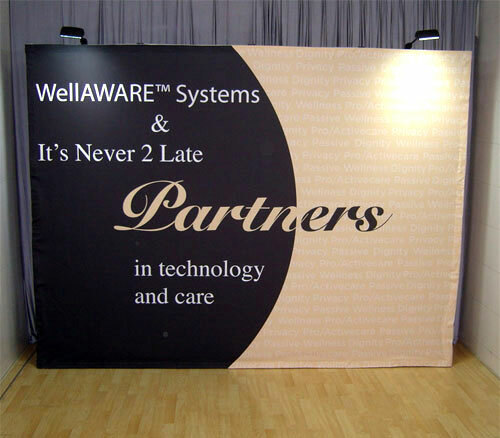 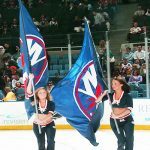 Our pop-up backdrops are perfect for trade shows and expos. 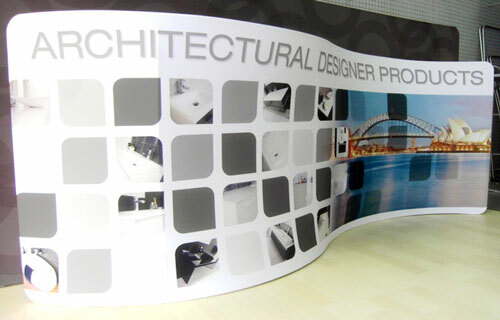 Made of aluminium frames and full-colour laminated graphic panels, they come in four unique sizes: 3×1, 3×2, 3×3 and 3×4. 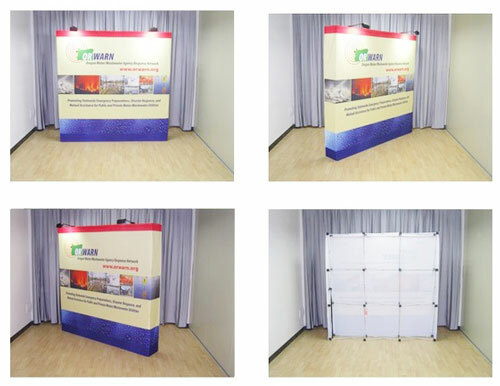 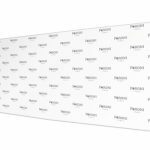 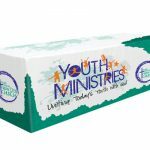 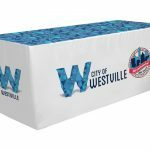 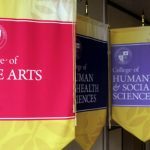 The graphic panels can be replaced with fabric panels, available in blue, gray and white, for use as display boards in schools and offices. 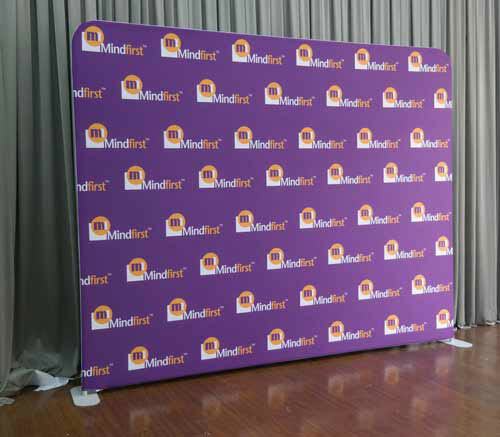 They stand at 2310mm high; the widths, on the other hand, range from 3520mm to 6500mm. 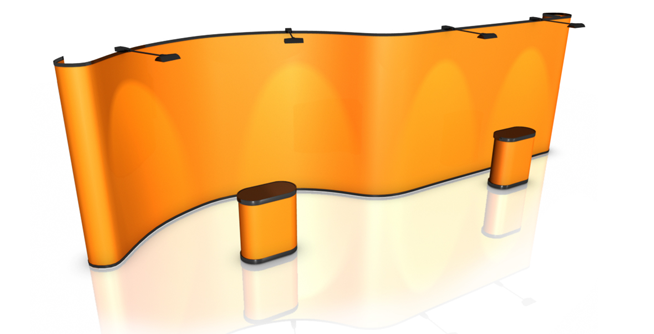 They can have either a straight or curved frame. 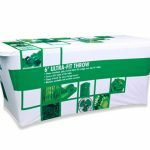 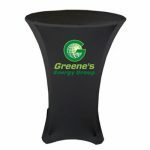 The package comes with a carry case that doubles as a countertop as well as halogen lamps for spotlights. 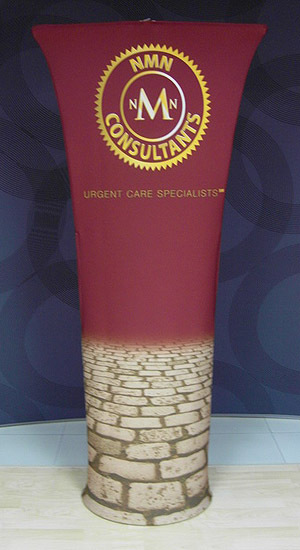 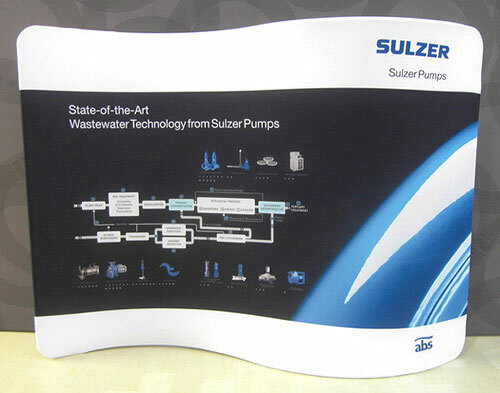 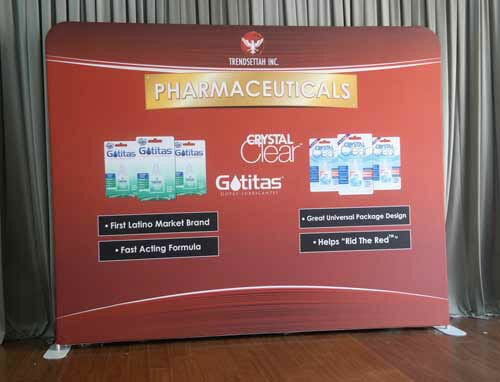 Our pop up wall displays have several functions. 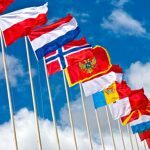 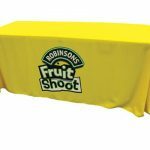 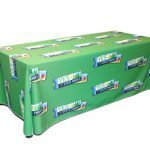 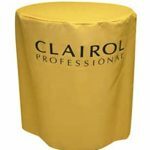 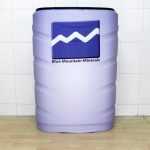 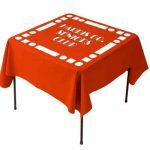 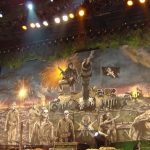 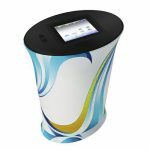 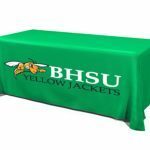 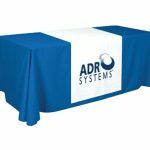 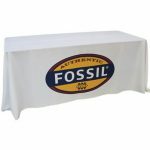 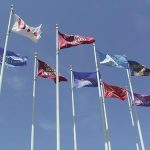 It can serve as decorations in exhibits; as backdrops for photo shoots, fashion shows and red carpet events; as backgrounds in press conferences and panel discussions; as advertising stands; and as barriers in product demonstration booths. 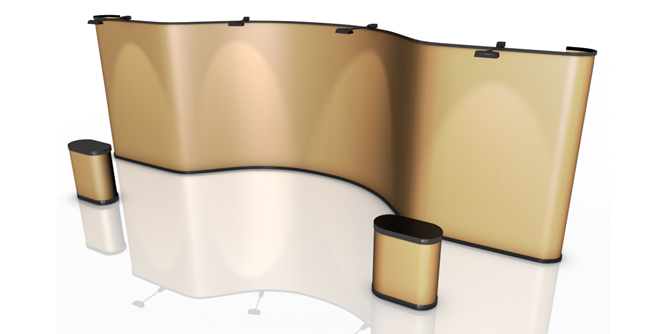 These media walls come in 13 different sizes, each with its own unique shape. 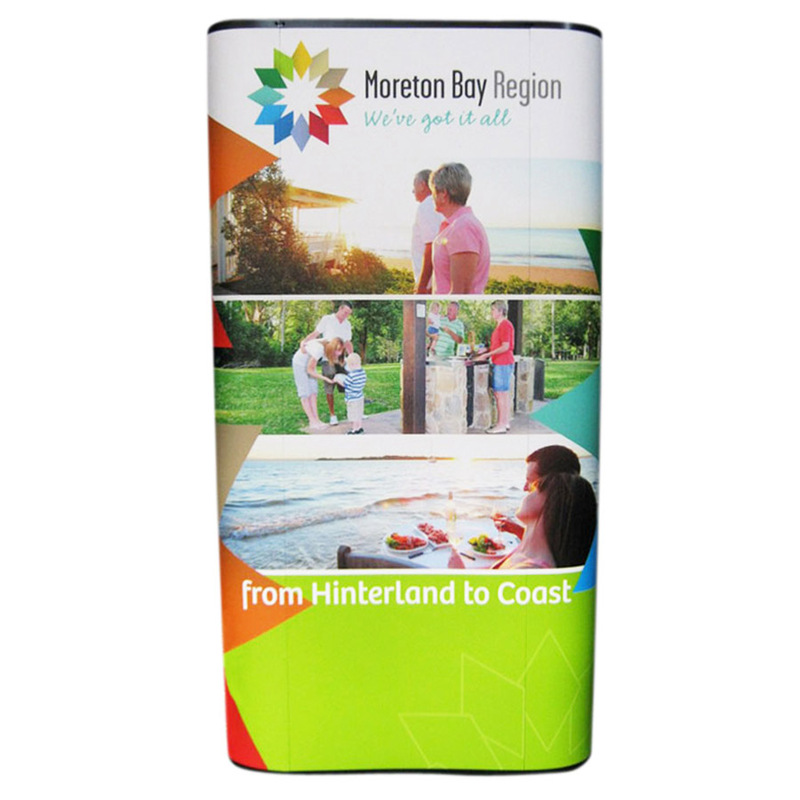 The graphics are made of full-colour printed fabric and can be slipped easily over the frame just like a pillowcase. 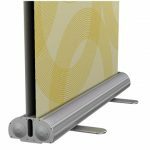 Widths range from 1800mm to 9000mm; heights are from 750mm to 2230mm. 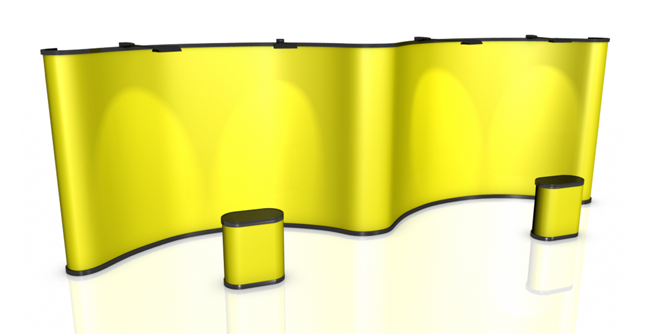 Height and width can be customised for straight media walls; for curved media walls, only the height is customisable. 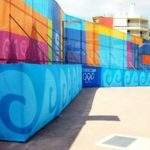 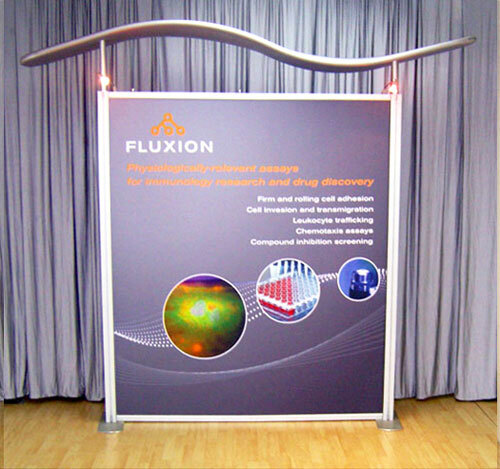 Our pop-up fabric walls are similar to our pop-up displays, but with one major difference: the panels are made of fabric. 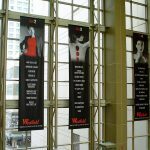 These fabric panels are produced in full colour using state-of-the-art fabric printing technologies available in the market today. 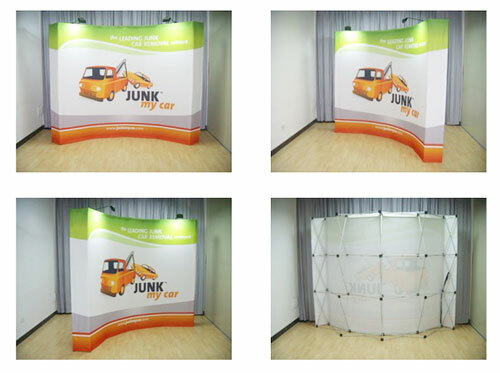 These pop-up fabric walls come in 14 different models, some straight and some curved. 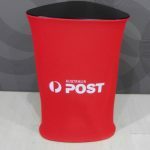 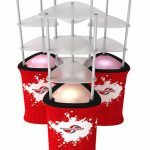 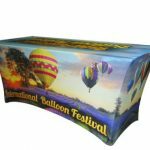 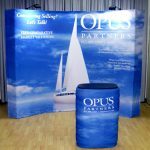 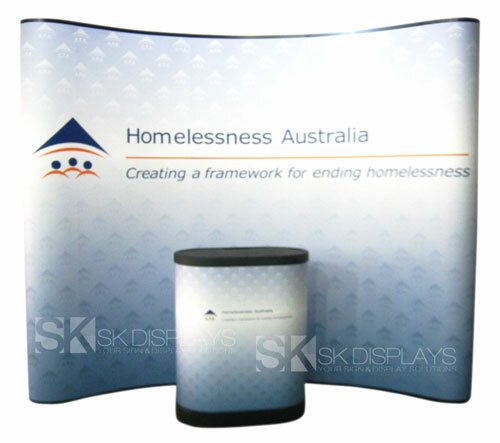 Just like the pop-up displays, they are great for expos and trade shows; some models are ideal for shopping centre displays. 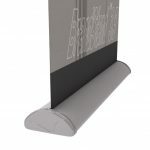 Heights available are from 1524mm to 2260mm while widths are from 787mm to 4250mm. 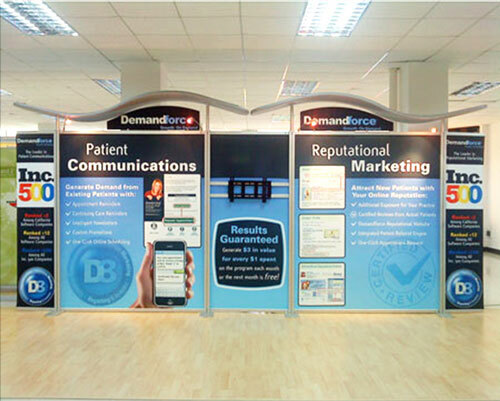 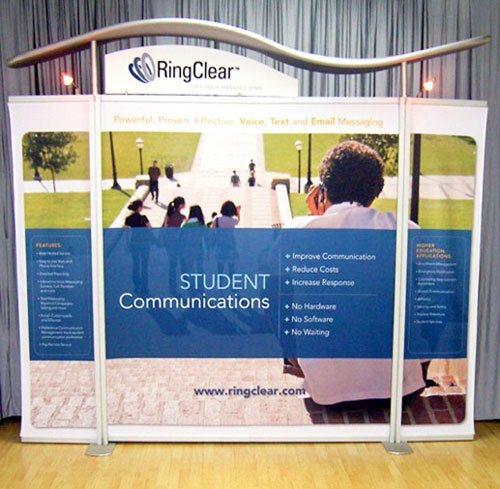 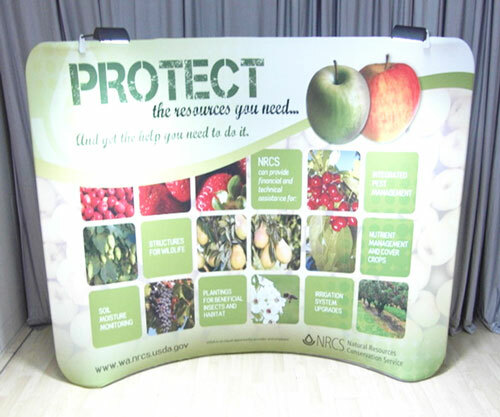 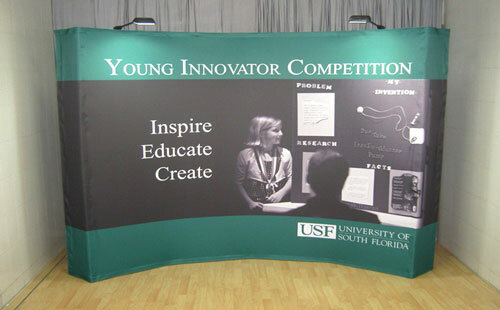 Our 20ft pop-up displays are absolutely perfect if you have a large space to fill at your exhibition booth. 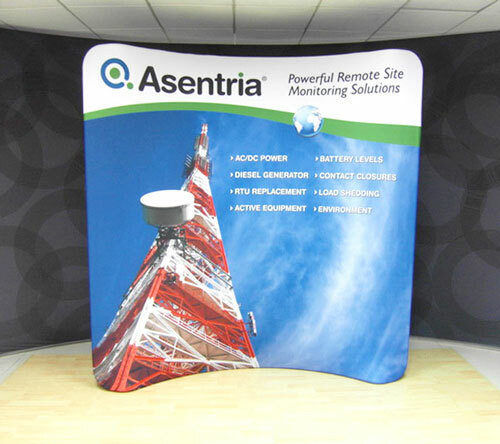 These large displays dominate the space they are in. 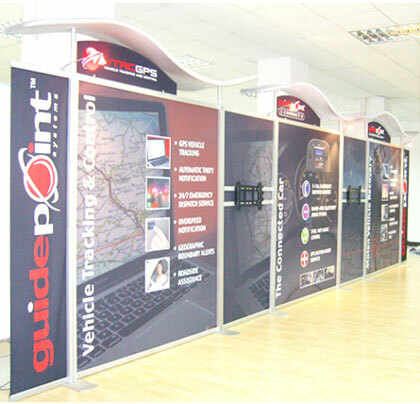 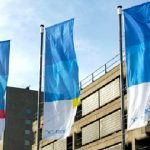 They are highly portable and practical, though – these media walls are simply combinations of our smaller pop-up displays. 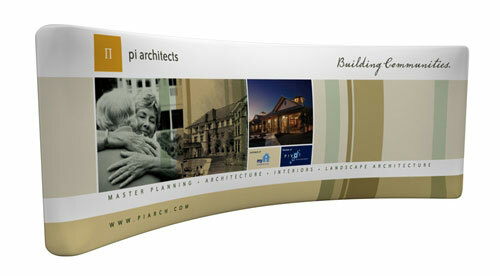 You can mix and match them according to your needs, and then break them up if you need smaller displays. 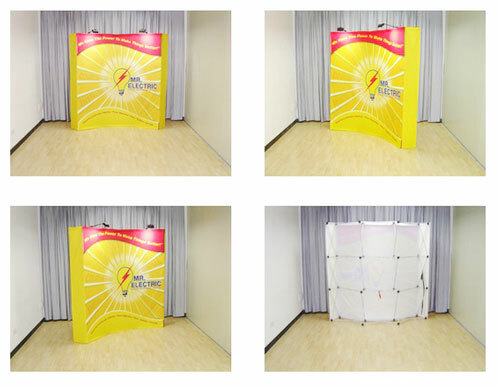 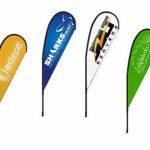 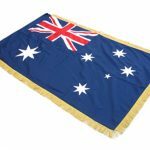 You have six models to choose from here; all these models are made with full-colour fabric graphics and aluminium frames. 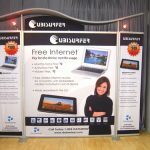 Our modular displays are the best for expos and trade shows at high-end venues such as five-star hotels and convention centres. 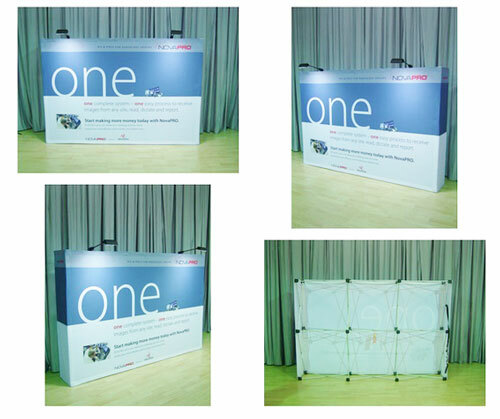 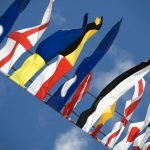 These are display tools every event organiser should have; you can be as flexible as you want with these modular exhibition systems. 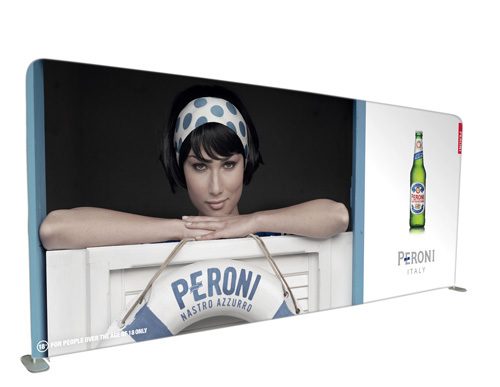 Each system has its own set of full-colour graphic panels, frames, canopy and plexiglass fascia. 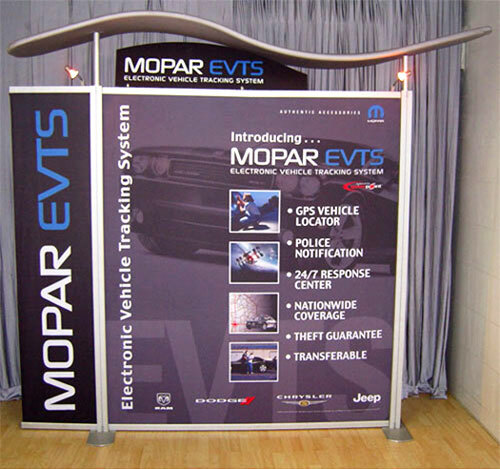 You have ten models to choose from here. 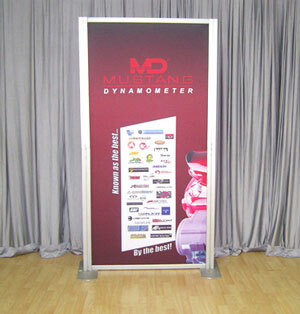 Height is uniform at 2310mm, while widths range from 500mm to 9580mm. 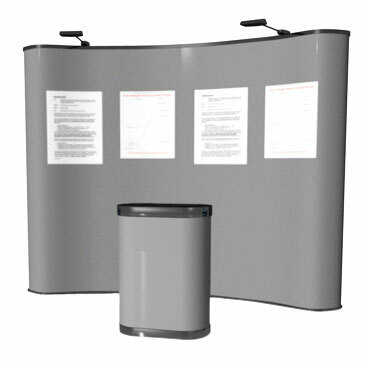 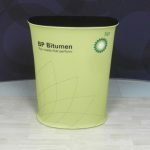 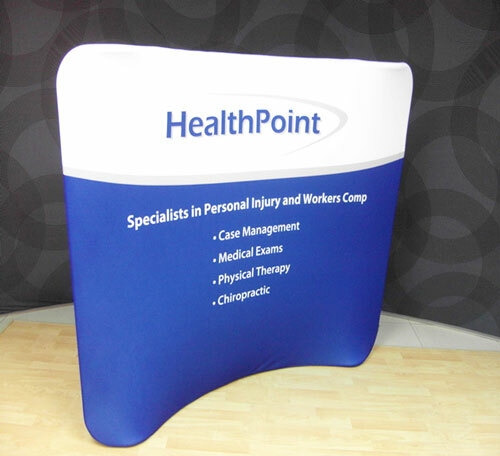 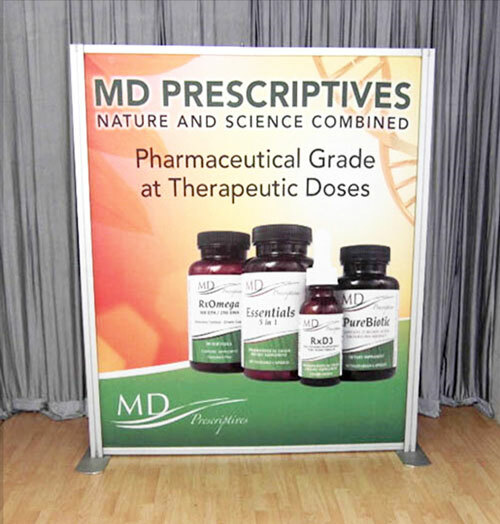 Our pop up display stands add a multimedia dimension to your displays. 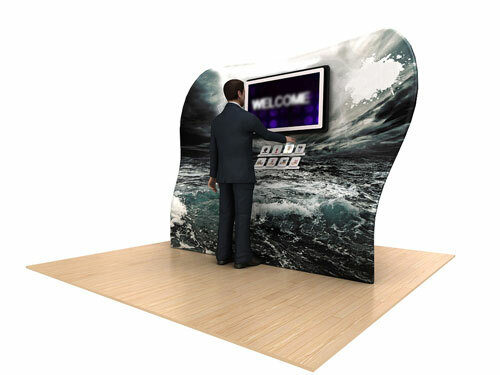 Having multimedia presentations at your exhibition booth is powerful, as they increase audience engagement. 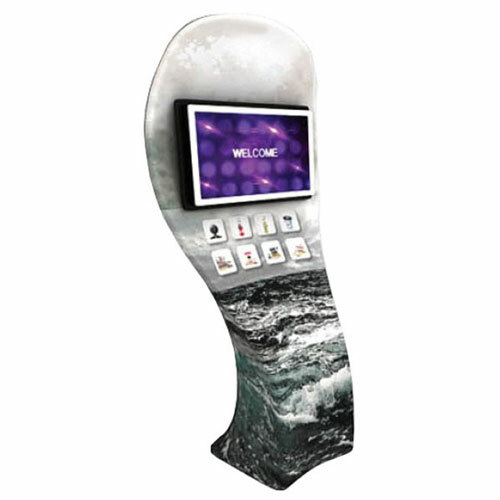 They make your displays appear modern and technologically sophisticated. 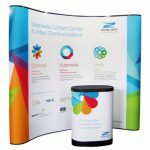 These displays are capable of running a wide range of multimedia formats: full 1080p HD AVI, MP4, MPG, MOV, TS, TRP, DAT, VOB and RM-RMVB for video; MP3, M4A and AAC for audio; and JPEG, BMP and PNG for images. 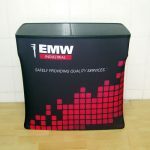 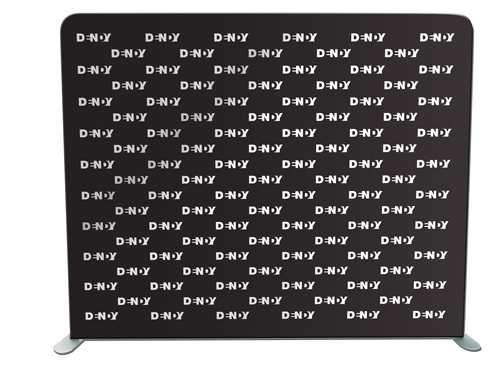 The graphic wraps for these monitor stands are full colour. 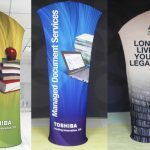 Height is either 2260mm or 2600mm, while width is either 1070mm or 2950mm. 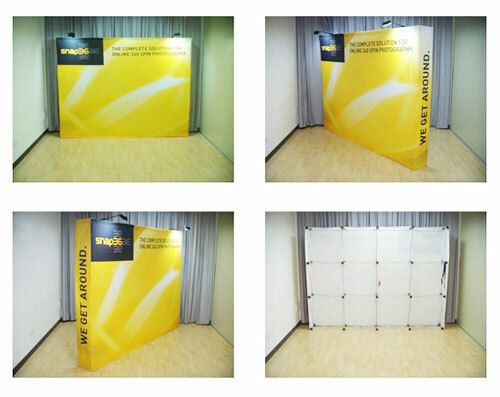 Whatever type of pop up wall you choose, you can be assured of one thing: They will save you valuable time. 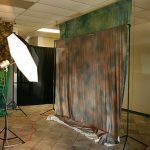 It is very easy to set up these media walls. 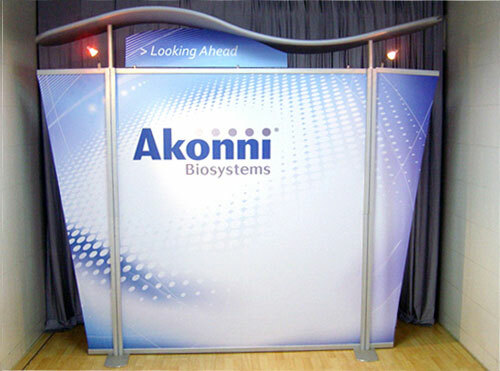 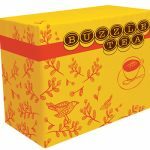 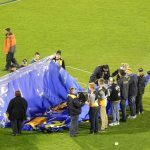 With the exception of the modular display systems, which can take 30 minutes to put together, these pop-ups often take no more than 10 minutes to assemble. 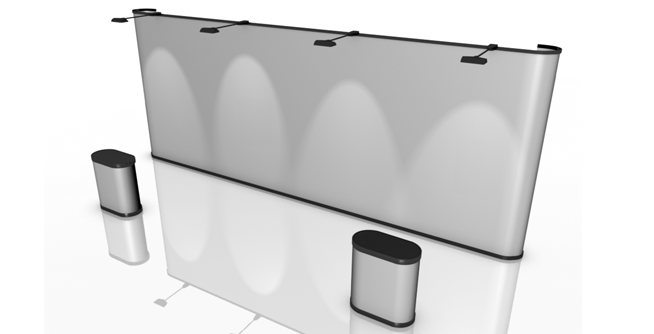 The reduced setup time means you can have more time to devote to more important tasks. 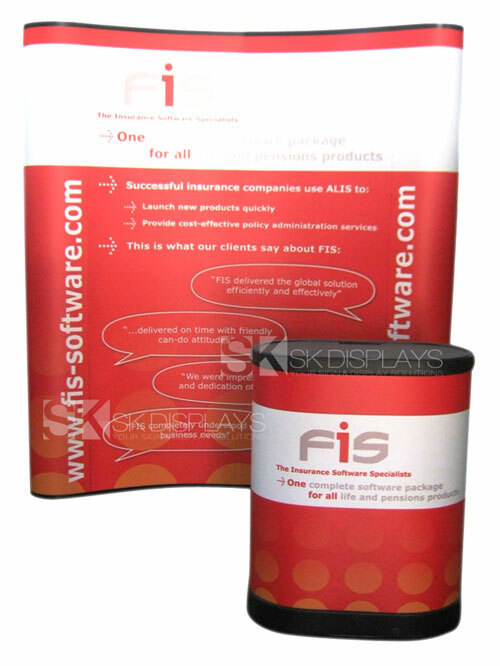 Moreover, these displays are portable. 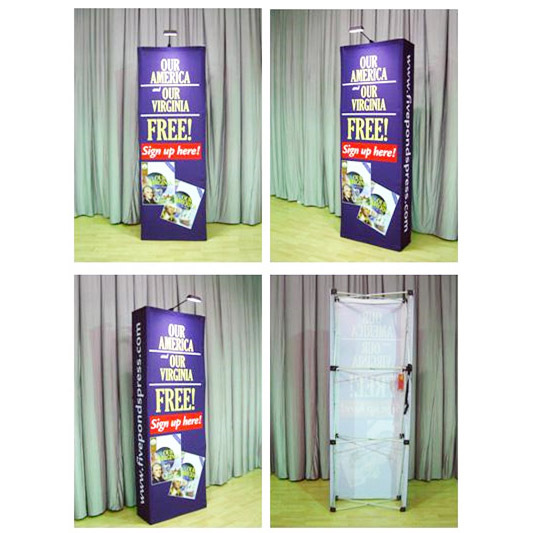 They have their own carry cases that help you move them from place to place without a lot of fuss. 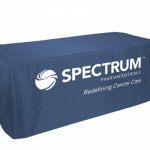 These carry cases also make it convenient for you to store these displays safely when they’re not in use. 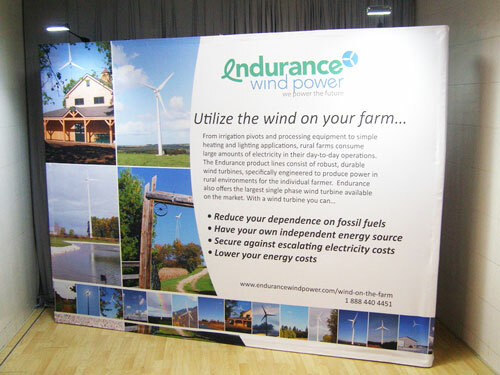 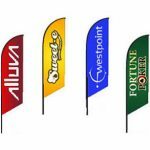 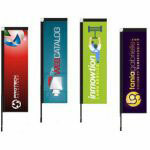 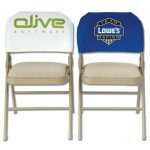 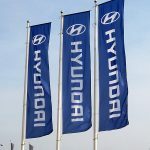 The best benefit you will get when you buy our pop up signs and displays is you will save money on your purchase. 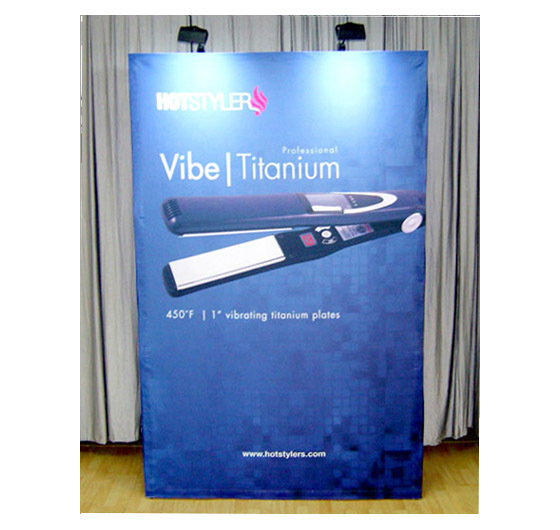 These display tools are cheap for the quality you are getting. 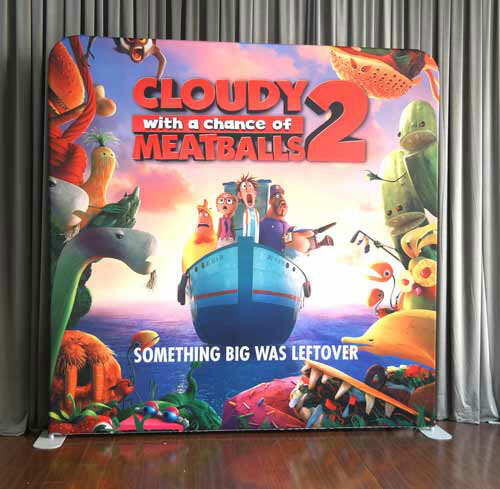 More than that, they allow you to be more flexible in setting them up so it would seem that you have multiple sets of media walls instead of just one or two. 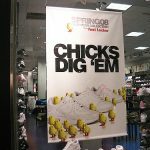 Also, you can get a lot of mileage out of them. 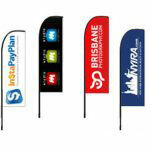 You can use them as frequently as you want, and at any venue you please. 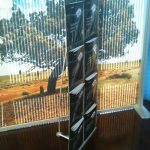 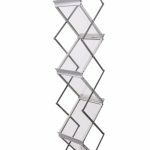 If you need a new look for your displays, you don’t have to order a completely new set. 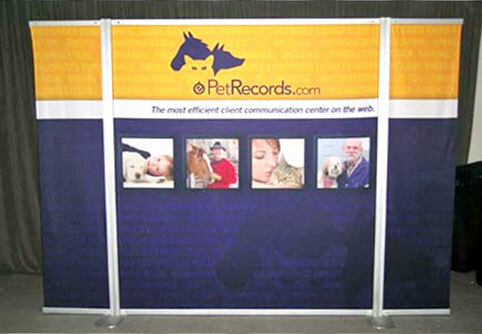 Just order new graphic panels or fabric graphics and keep your existing frame. 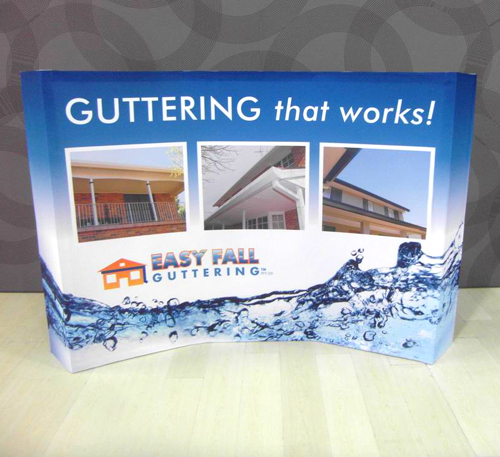 Doing so will generate a lot of savings for you in the long run. 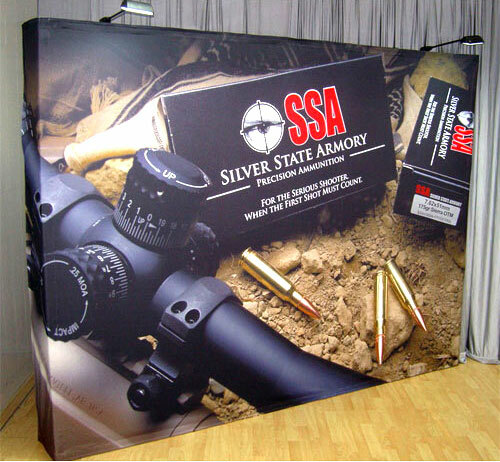 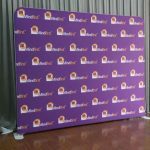 Our pop up walls and party backdrops allow you to get the best displays you can have at a price you can afford. 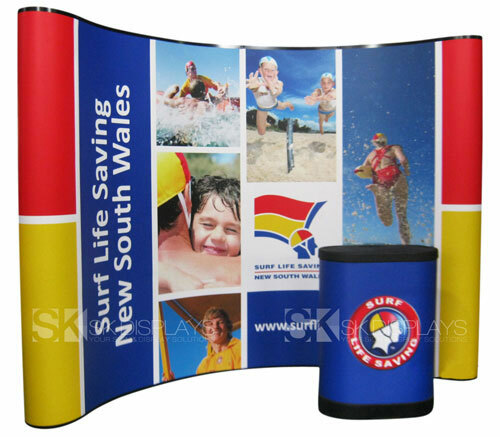 Based on Sydney’s North Shore, we deliver our products to any location in Australia. 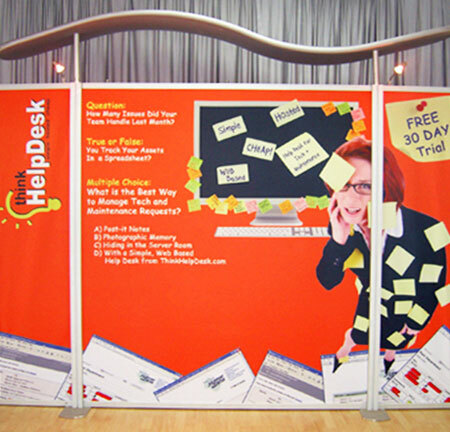 Call us right now for more information on our pop up walls.